Shop Wheelchair Bags, Wheelchair Pouches, Wheelchair Shopping Bags, Wheelchair Sacs, Wheelchair Back Pacs, cup holders, and more conveniently delivered to your front door. Indemedical.com provides wheelchair accessories and bags you’ll love designed to make life easier. 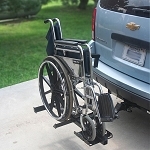 Wheelchair Cup Holders* Wheelchair Bags * Save on Wheelchair Accessories and more at Indemedical.com.